The other items associated with Valentine’s Day include chocolate and flowers. The tradition of giving chocolates has been around for decades, and Richard Cadbury created the first box of Valentine’s Day chocolates nearly 150 years ago. Today, purchases of chocolate total over $1 billion in the United States alone, with 35 million heart-shaped boxes sold each year. Loved ones also exchange flowers, with red roses being associated with Aphrodite, the Greek goddess of love. 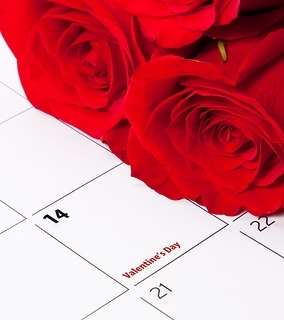 On Valentine’s Day itself, florists sell nearly 200 stems of roses. Although many people dismiss Valentine’s Day as a commercialized “Hallmark holiday,” it is beloved to couples and romantics across the United States and other countries. The team at McCreary Family Dentistry wants to remind all patients that no matter what your celebratory plans, February 14th can be a wonderful day to celebrate the loved ones in your life. Happy Valentine’s Day!